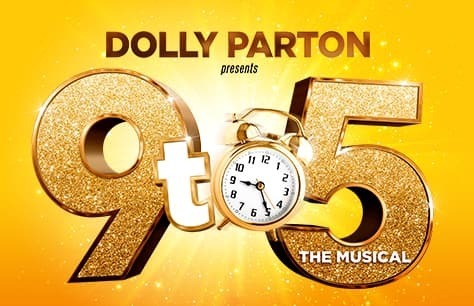 9 to 5 The Musical tickets are available now for the 2019 West End run at The Savoy Theatre! Consolidated Industries is managed by the extremely sexist and self-important Franklin Hart Jr. Violet is a long time employee, she’s always on top of things, knows about everything and trains everyone. Doralee is Mr Hart’s secretary, he makes advances to her which she constantly rebuffs. Judy has just started working at Consolidated but is struggling as she has no work experience. The women come together to teach Mr Hart a lesson and improve the company for everyone. They leave him hanging at home and decide to run the office their way! After finishing a highly successful UK tour this summer, 9 to 5 has arrived in London’s Savoy Theatre. The original 2009 Broadway production of 9 to 5 got 15 Desk Drama Award nominations, the most of any single production in a single year, as well as 4 Tony Award nominations. Dolly Parton’s 9 to 5 tickets are available now. Do not miss your chance to get the best tickets at the best prices! The front row seats in the balcony were good. What I really liked was the drink and snack service: you could order and it was brought to the seat.